One of the most important pieces of having a successful website is having a successful SEO strategy. SEO stands for search engine optimization, and if you’re not utilizing it, your website is most likely suffering as a result. You can have the best content and the easiest to use website, but if it is not SEO-optimized, you’re missing out on a huge chunk of internet traffic. So what exactly is SEO? Basically, it is the science of making your website rank higher in search engine results. In today’s jungle of websites, search engines are in charge of deciding which websites will be the most relevant to your searches and have the best content for you. Websites that show up on the first page of Google results have a much higher rate of traffic, and that number increases the higher up in the results you are. But being on that first page doesn’t happen by chance; it’s a digital art form that requires a lot of work. This may look like a fancy phrase, but it’s actually a lot less complicated than it sounds. Content optimization is making sure your website matches what the search engines are looking for. Every search engine uses tools called “crawlers”, programs that scour practically every website on the internet. They look at things such as content quality, how easy to navigate the site is, how organized the structure is, does it have an SSL certificate, etc. They then take their findings back to the search engine and the site is then given a rank. Keyword optimization. Based on the purpose of your site, the next step is to optimize your content around a few specific keywords. Analytic tools are a huge part of this, as they tell you what keywords are popular, what keywords are trending, and even suggest better keywords to use. 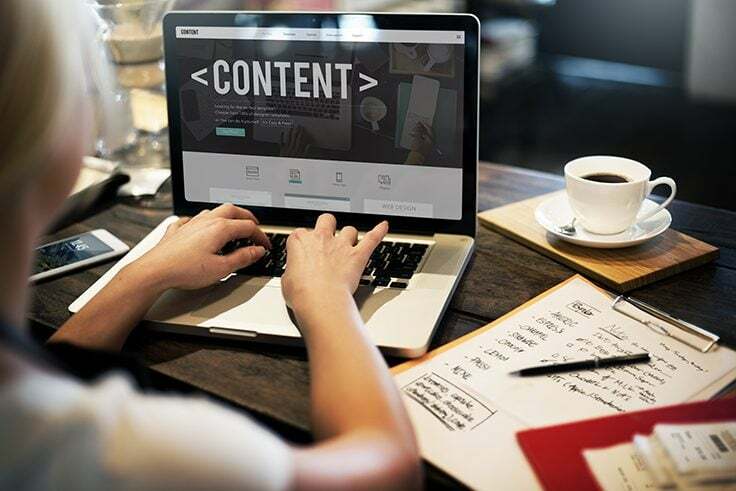 You can then re-word your content and even the code behind the scenes to give your site a better chance of getting noticed by search engines. It’s a fine art, however; using the keywords too often or too little, or using them in the wrong place can have a worse effect on your rankings than not using them at all. Image descriptions. This is basically adding a text description of images and videos on your website so that the crawlers are able to know what it is picturing, as they are unable to view images and videos. Meta tags. These are in charge of the website information that shows up under the site names in search engine results. Having strong keywords and short-but-sweet descriptions of your website makes a big difference in your search rankings. Site accessibility. One of the biggest factors in search engine rankings is user accessibility. While search engines used to be focused solely on content quality, they now place a heavy emphasis on content presentation as well. They look at how easy to use the site is, if the site map is organized well, etc. Basically, the better experience a visitor has on your site, the higher your ranking becomes. SSL certificates. Having a secure website is a must for today’s digital world, and SSL is taking the internet by storm as the top player in digital security (you can check out last month’s ebook and blogs for more information). In fact, in the time since we wrote that content, search engines have added even more weight to having a SSL certificate and have started removing websites that don’t from their search listings. This is a huge shift and proves that your website must have a SSL in order to be seen. Another key part of SEO is making sure your URLs are optimized as well. Now, which of these two would you be most likely to remember? Obviously, the first one. The easier a URL is to remember, the easier it is for visitors to find their way back to your site. While it is most important to make sure your website comes up in search results, it is equally important for your URLs to be optimized in case visitors can’t remember what they searched for and need a second way to return to your site. Much like humans create communities that create better communication between a large group of people, so do websites need a digital community in order to rank higher in search results. The most common way of doing this is through link-building. That is, linking other websites that have similar goals to yours to your website in return for them doing the same. Crawlers look at how many links a website has directing traffic to it, as well as directing traffic to other similar websites. If your site has a lot of links from reputable sources pointing visitors to you, the crawlers will assign a higher rating to your site. Conversely, if you link to reputable websites on your site, crawlers will reward you for your neighborly goodwill as well. As you may have guessed, SEO can quickly become a complicated process. 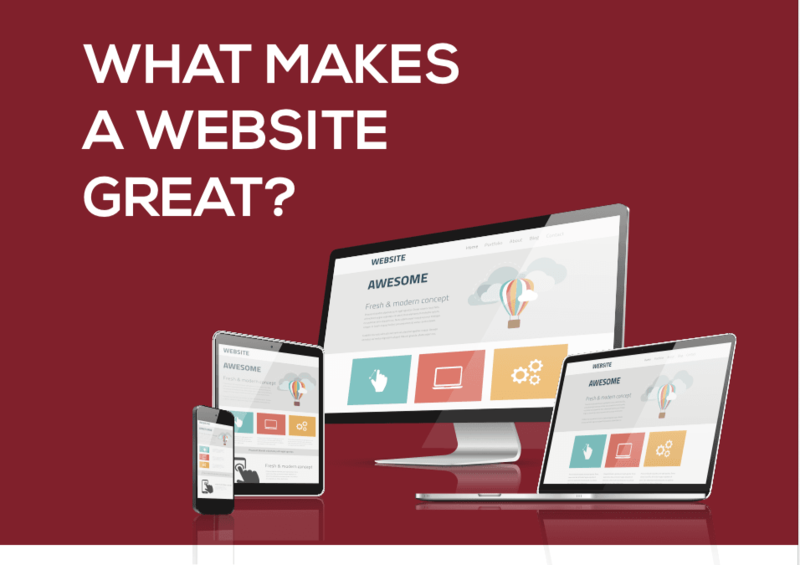 It all boils down to this: the better your website is for visitors to have a quality experience, the higher your search rankings will be. Due to the many different aspects of SEO, it can seem overwhelming at first. The importance of SEO, however, far outweighs the daunting challenges it can pose. If you are interested in boosting your traffic, let us know! We’d be glad to partner with you and do your SEO for you, allowing you to focus on what really matters: growing your business. Springboarding off of our latest ebook on Website Functionality, we have compiled some key things to keep in mind when creating or re-building your website. – An inviting contact us page. Don’t simply make your contact us page a list of ways to contact you. Put in a personal message, tell them a little bit about yourself and your staff, and most importantly, invite them to reach out. And then make it easy for them to do so! Studies have shown that websites that have their contact information somewhere on every page of their websites have significantly higher conversion rates than those that only list it on their contact us page. – Website chat. This is a great way to boost your conversion rates, as we can personally attest. You’ve probably already experienced a chat window popping up on a website you’ve visited that asks you something like “how can we help?” or “what are you looking for?”. These chat windows can be linked to your mobile device, or really any device you want to dedicate to it. Once a customer sends a message in the chat, an alert will be sent to wherever you designate it. You can then respond immediately. This doesn’t have to be a long, drawn-out conversation, however. It’s as simple as asking what they’re looking for, listening to their response, and then inviting them to set up an appointment or send you an email to discuss it further. You can also set up automated responses to do the same thing whenever you are unavailable. This is a great way to connect with your visitors, and your conversation rates will grow like crazy. This is one that is often overlooked, but is crucial to the design on your website. Whitespace is exactly what it sounds like: the empty white space on a website page. The trick here is to utilize the space on your webpage to deliver information, but not to overwhelm your visitors. Have you ever been to a website that had so much content on it that you didn’t know where to start? That’s exactly the kind of experience you want to avoid. A good example is Google’s homepage. It’s almost entirely whitespace with their logo and search bar in the center of the page. But when you look at it, are you focused on the whitespace? No, because the whitespace is used to draw the eye to the actual content on the screen. In today’s society, it is not enough to have the perfect content. Those neat little packages need to be labeled. The reason for this is a practice called “scanning.” The majority of visitors that find websites based on their search results are often looking for a specific piece of information, and if those visitors don’t find what they’re looking for within seconds of looking at a page, they return to the search results. They do so by quickly scrolling (or scanning) the page trying to find the keyword that brought them to your page. Headers and subheaders are how you capture their attention. We’ve already shown you an example of this in our blogs. While each blog covers a topic, each sub-topic is bolded and uses keywords to grab your attention. It’s a lot like the exit signs on highways that display categories of what you can expect to find at each off ramp: food, gas, lodging, etc. Except in this case, the off-ramp is the content within your page. You simply have to label it clearly so that they don’t miss your exit. Plus, as a bonus, organizing your content in this way makes it easier for the search engine crawlers to know what content is on your page and how to properly file your website in their index. – A well-designed sitemap. While having a sitemap is a must for every website, a well-thought out one is worth the effort, as you can use it as the springboard for all of your navigation for the website. Break your website into categories that use keywords that describe your website and your content. A sitemap is often where search engine crawlers begin their index of your website, so having it spruced up not only makes navigation easier, but makes the crawlers’ job easier, which means a better chance at a higher search engine ranking. – Navigation headers. 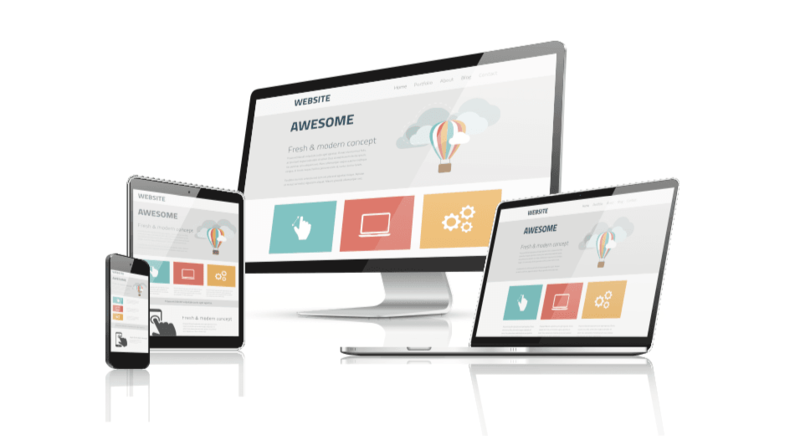 Many website design models allow you to create headers designed to create a miniature version of your sitemap at the top of each page. That way, no matter what page of your site a visitor lands on, they’ll quickly be able to find their way around your website and know exactly where they are. Most of these headers use your sitemap as a reference point, telling visitors what category and subpage of the sitemap they are on. – Easy-to-click links. While having links to the other pages on your site are good to have, an easy to miss detail can make a huge impact on your visitor’s experience: the size of your links. That is, the clickable portion around your links. 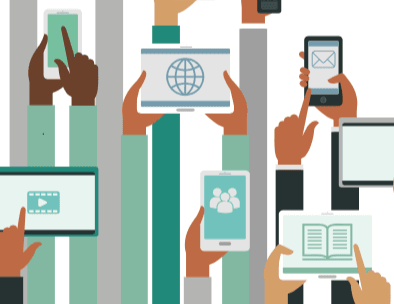 With an ever-increasing focus on mobile-friendly websites, this is a must. Any link that visitors have to zoom their screen in to click isn’t a link they’re likely to follow. In fact, it’s often a point of frustration for visitors, and if your visitors are frustrated, they’re motivated to leave your website rather than dive in further. Obviously, there is much more to website functionality than what we have discussed here, but our hope is that this will give you a basic understanding of the process and a few ideas of where to start. If you have any questions or would like to discuss a plan of how to implement this process for your website and start boosting your traffic, we’d love to talk with you about how we can do this for you. To kick off December’s content series, we have released our latest e-book! In this content series, we’ll be talking about how to improve your website to help both capture new leads and convert those leads into customers and business partners. We’ll provide an introduction to Google Analytics, a powerful tool to help sift through the information your website collects on your visitors and their experience. Lastly, we’ll touch on how to utilize SEO to improve your website’s functionality and some best practices we’ve found for the best results. If you have already signed up for our mailing list, the e-book is already in your inbox! If you haven’t, simply plug in your email in the form below to receive your free copy. Happy reading! If you’re already on our mailing list, you’ll automatically receive your copy of the e-book when it’s released, as well as get notifications when each of the blogs go live. If not, click the link below to get signed up!